On Saturday, January 8, 2011, over 250,000 people on Earth died. The next day, over 250,000 more people died. That many people die every single day. We will never know who they all were, about their lives or why they died. It's too many people. It's hard to feel sad about the loss of people you didn't know existed and about whose deaths we have no information. But surely someone is feeling the loss. Surely someone is grieving. - John Roll, 63, Arizona's chief federal judge. - Christina Green, 9, a third-grader who had been elected to her student council. She loved politics, animals, singing, dancing, swimming and gymnastics. - Gabe Zimmerman, 30, director of community outreach for U.S. Representative Gabrielle Giffords. - Phyllis Schneck, 79, a widow who spends her winters at her Tucson home. - Dorwin Stoddard, 76, a retiree resident of Tucson. - Dorothy Morris, 76, a retired homemaker and resident of Oro Valley, Arizona. All these people were shot by Jared Lee Loughner, 22, a high-school drop-out and mentally disturbed individual, as he sprayed bullets from his Glock 19 semi-automatic pistol in a failed attempt to assassinate Rep. Giffords at a Tucson business community event. Giffords suffered a head wound but is likely to survive. Thirteen others were wounded and hospitalized. These people too were total strangers to me, but because of the torrent of information in the media about this incident I've felt stirrings of compassion and sadness. Especially for the little girl, Christina, who seemed to be the kind of special young person who represents our hope for the future, and whose life journey ended abruptly before any of what was possible for her was allowed to happen. And of course feelings of revulsion for the killer, otherwise referred to in the media as "the suspect" or "the alleged shooter." This incident has reminded me of the nature of compassion. We literally have to "reach out" to feel compassion for people. We have to make the effort to learn more about them, their journey and their situation in order to feel genuine compassion. And I've had thoughts about guns. Such as, what more can we do to keep guns out of the hands of disturbed people? And what's the best way to defend your home and family from evil people? And about insanity. 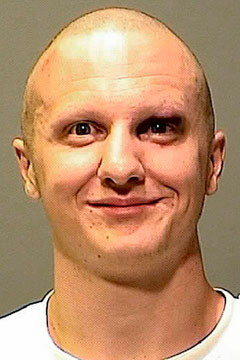 Is it possible for a sane person to do what Jared Loughner did? Apparently, he had a normal brain, with no brain disease or brain damage. Seemingly, his problem was bad data. He stuffed his brain with erroneous nonsense, which triggered his violent thoughts, feelings and actions. Does bad data make a person legally insane? Also about criminal justice and corrections. Do we really want our taxes to pay for Jared Loughner's food, lodging, medical care, physical fitness, education, entertainment, and security every day for the next 70 years? As we've done for other deranged murderers and assassins? These are troubling thoughts and feelings, which get mixed in somehow with feelings of sadness and compassion for the victims. Though from a distant place, I could feel the pain of many in your country. A world that is growing worse by the day is likely to witness and hear more of such horrible tragedies. I am moved by the thoughts you expressed. By the way, was it Saturday, January 8, 2001 or 2011? Many questions, few answers. The older I get, the more gray I see, rather than black and white. When I was a kid, most everything was black or white. Hi...I feel calling anyone a deranged loser is inappropriate. Mental illness is a very real and serious condition. An x ray of a brain won't show this. Looking into his background would show a lot of red flags as to his mental well being and thus what led him to do what he did. We shouldn't be so harsh on judging someone without knowing the whole story. It feels odd to read a comment that expresses such deep compassion for the killer, but no mention at all of the victims. Nevertheless, I think the net of compassion should be cast widely, so I removed the language referring to the perpetrator as a "deranged loser." Angela, best wishes for having a positive impact on your world. Sobering information. We all owe a debt of compassion, every day. We all mostly share in the grief of such senseless acts. But please, why post the picture of the perpetrator again. Spare us that image and deny him that notoriety. Sad. And it had to be re-told. That in a sense, since the link to it was retweeted. An indication of warranting further comments upon its reminder. As a US citizen, I would love to ask: what's the entire good people of the USA doing to change the inhumane gun law of the State? Arms in the 1700s and 1800s weren't as murderous as modern-day 19th century weapons. The constitution should therefore be reviewed to match, or more lives will remain just a gunshot away under the guise of mental challenge. What if the mentally challenged only had a sword, or a bow and arrow?